Get all of Tony Redhouse's CD's with substantial savings. - Shop now and save with free Mp3 download! The Complete 5 CD Tony Redhouse Collection: On Sale! Get all of Tony Redhouse's CD's with substantial savings. Purchase The Complete 5 CD Tony Redhouse Collection: On Sale! 5 CDs collection from Tony Redhouse on sale for only $40.00. This collection would normally cost $79.90 so you save $39.90! We have included the bonus album Heal my World which also features the Phoenix Boys choir and Kim Robertson. Tony Redhouse has sections were he speaks, sings and chants in a "duet" with the Phoenix Boys choir. Soul Blessings Video featuring music by Tony Redhouse. East Wind Video featuring music by Tony Redhouse. Yie-Shango Video featuring music by Tony Redhouse. Boy Dancer Video featuring music by Tony Redhouse. Disco Conga Video featuring music by Tony Redhouse. 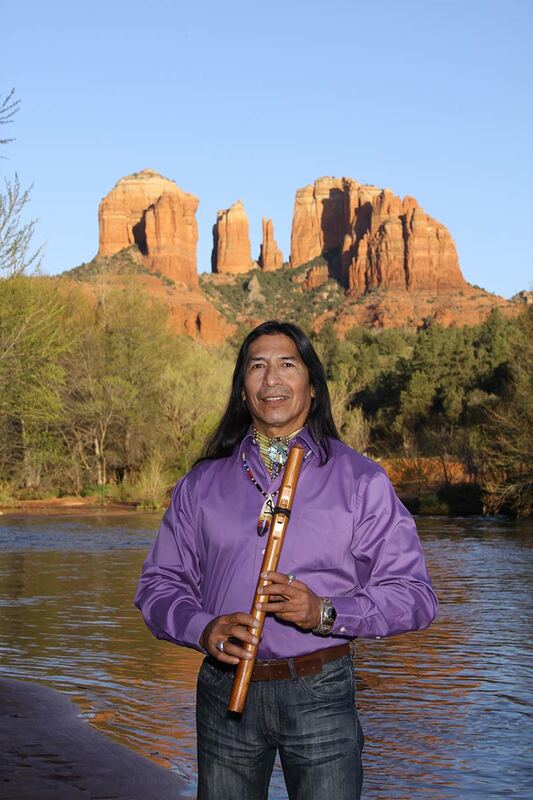 Flute Video featuring music by Tony Redhouse. Chant Video featuring music by Tony Redhouse. 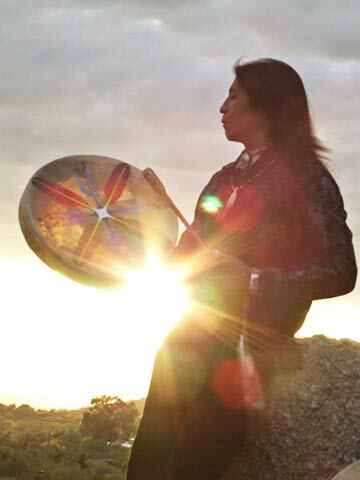 Nominated as Best World Music Album and Best Instrumental Album at the Native American Music Awards, Estun-Bah is the premier Native sound of the Southwest. Soar with the eagles. Listen to the heartbeat of Mother Earth. Feel the first beams of the sunrise. The word "Estun-Bah" is an Apache word meaning "For the Woman." The Native American flute was traditionally used as a courting instrument. A man would play the most beautiful song on his flute before approaching a woman to show his honor and respect for the woman. Tony Duncan is of the Apache and Arikara, Hidatsa and Mandan nations. 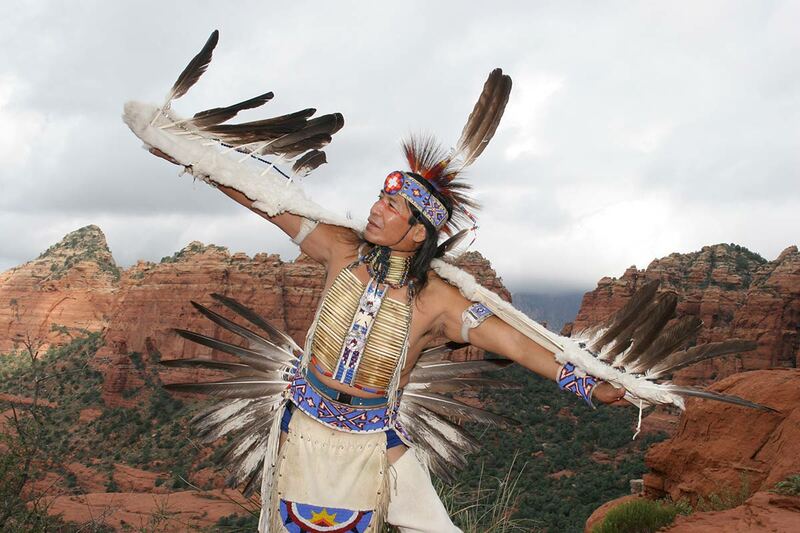 He incorporates both the Southwestern and Northern Plains styles of song and dance in his presentations. 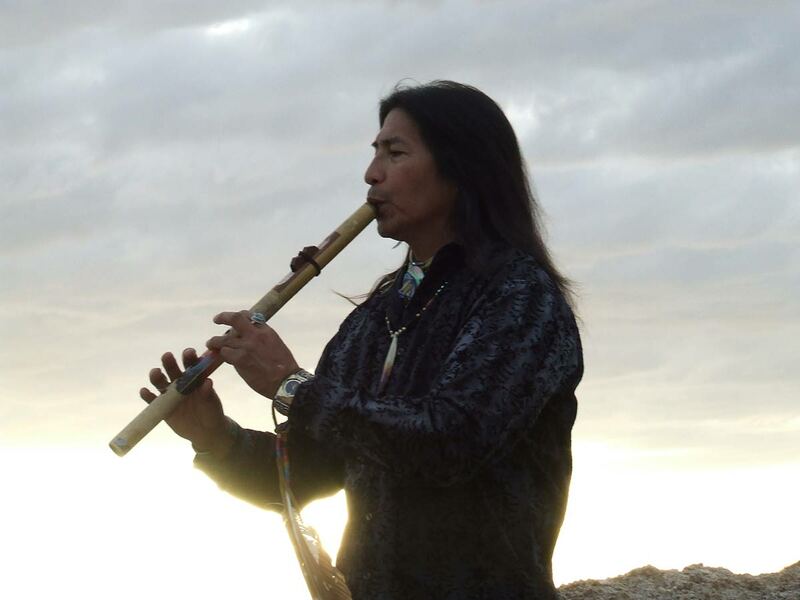 As leader of Estun-Bah, Duncan captures the true essence of Native America with the soft, and soothing melodies of the Apache cane flute as acoustic guitar adds a serene accompaniment while drums add the beats for his dancing. 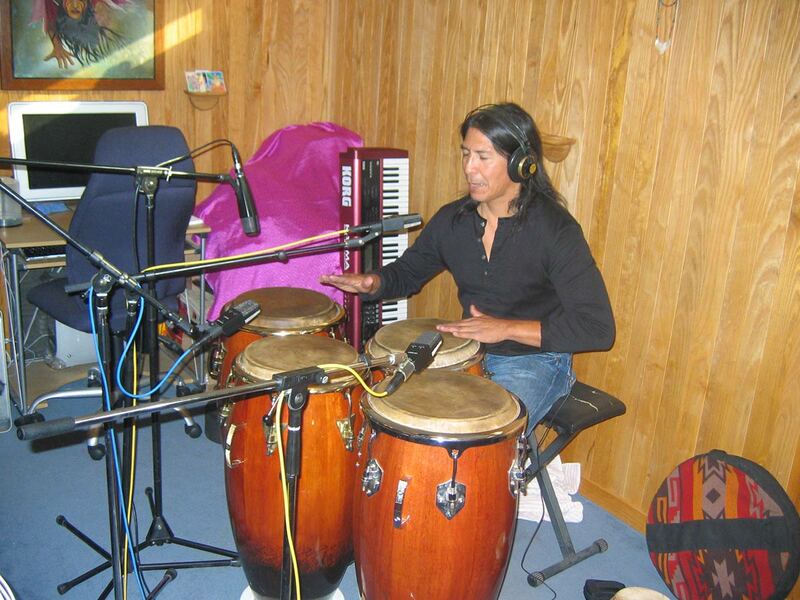 Estun-Bah blends traditional and contemporary styles to create an elegantly Native American music. Duncan is also an accomplished pow-wow dancer and hoop dancer. In the hoop dance Duncan creates many intricate designs inspired by nature such as the Eagle and the World. 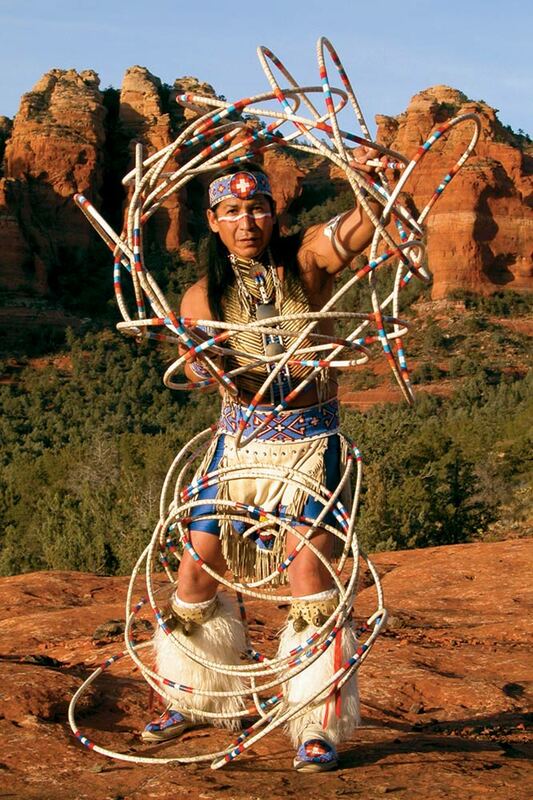 He is a four-time World Champion Hoop Dancer and is consistently ranked among the top ten in the world. He has traveled extensively across the United States as well as much of Europe and Asia. Duncan regularly performs hoop dances as part of his performances with Estun-Bah. 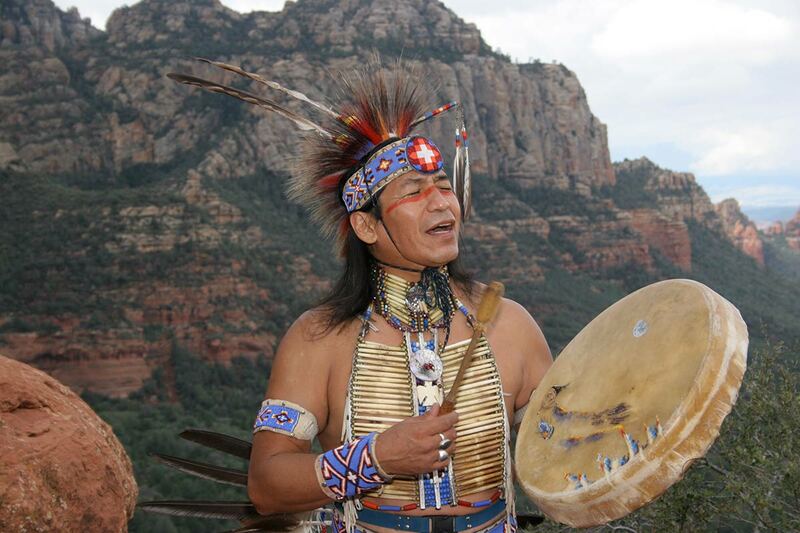 He also performs with his family's performance group, the Yellow Bird Indian Dancers. "I believe music is the language of our soul. One song can capture your heart and elevate your emotions. One melody can sweep you off to your own personal paradise. Music is and always has been an important part of native culture. As traditional sounds blend with more contemporary sounds. 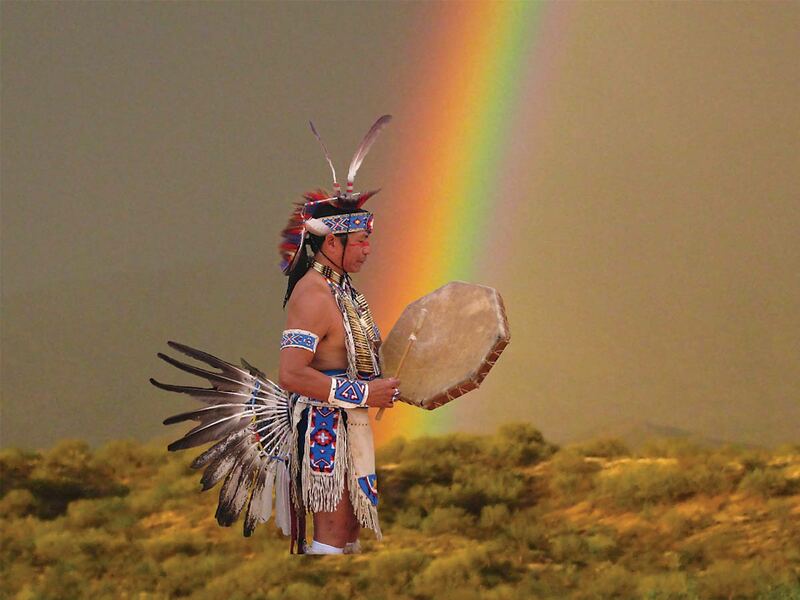 One element remains forever embedded in the sounds of Native America- the love and respect for all life. These are songs and melodies of the heart. I hope you understand my thoughts and expressions." The word "Estun-Bah" is an Apache word meaning "For the Woman." 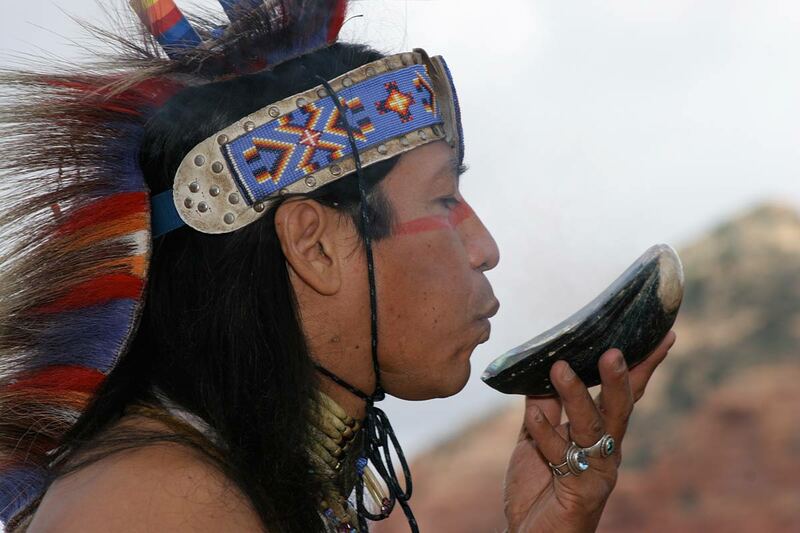 The Native American flute was traditionally used as a courting instrument. A man would play the most beautiful song on his flute before approaching a woman to show his honor and respect for the woman. The Apache cane flute is indigenous to the Southwest. It's carved from the tall stalks of the desert river cane. According to traditional stories a young man played beautiful melodies as he was taught be his elders. This was the way to pursue a young woman with great respect, beauty, and gentleness. The flute of the high plains is said to be a gift from the bird people. A young boy heard the tapping of a woodpecker as he sat outside his tipi. As he looked up at the tree he saw 4 young woodpeckers. These woodpeckers carved holes out of a hollow tree branch. As the wind began to pick up the woodpeckers hopped up and down on the tree branch as the wind blew through it. The first sounds of the northern flute played as the tree swayed from side to side. The branch fell from the tree and into the arms of the young boy. From that day on the boy played the flute from village to village. A gift from the bird people. 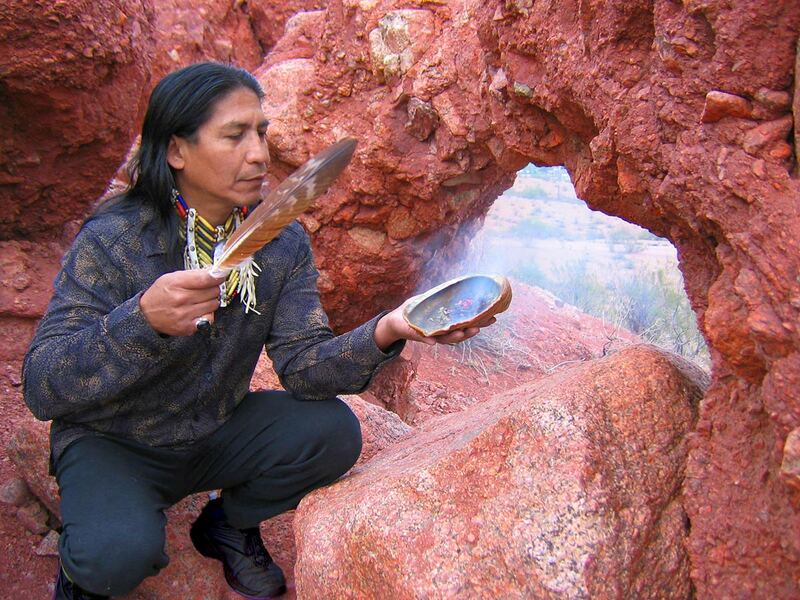 Darrin Yazzie is born for the Tabaaha (Water's Edge) and Ma'il deeshgiizhinii (Coyote Pass) clans of the Navajo. Yazzie creates the soothing guitar leads and rhythms that provide the unique musical character of Estun-Bah. 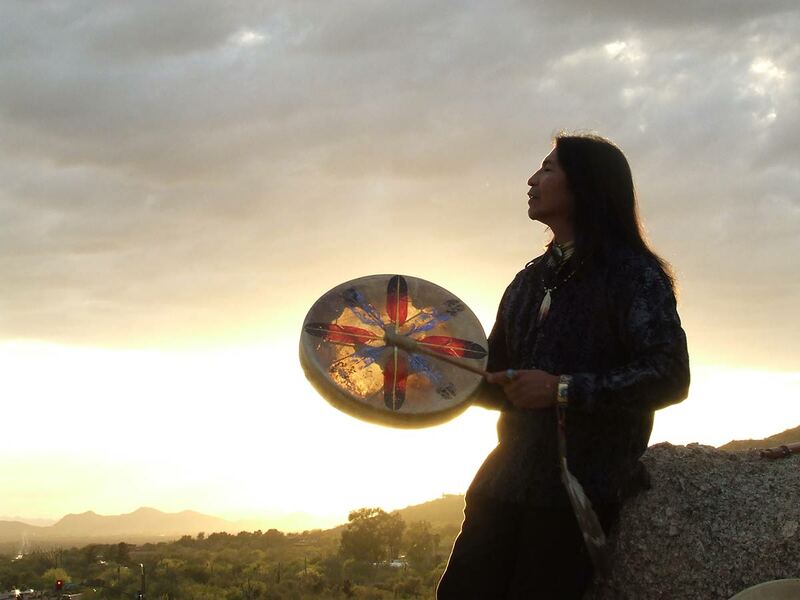 Known for his subtle guitar playing, Yazzie was born and raised in Chinle, Arizona on the Navajo Reservation. He began playing guitar at the age of seventeen and has developed his skills as a composer as well as creating many of the songs of Estun-Bah. Yazzie is motivated in his performances to share his love of music and to create a distinctive and original music that soothes the spirit. Dancing Bull grew up in North Dakota on the Fort Berthold Indian Reservation of the Arikara/Hidatsa and attends the tribal pow-wow every summer. Since a child Dancing Bull has been inspired by the sound of the Native American drum and has always been drawn to its heart-beat-like tone. He was also inspired by his late father Samuel who was a drummer beginning in high school and played in various bands throughout his life. Dancing Bull inherited his father's skill to play any rhythm he heard as well as the ability to freely improvise on different drums and percussion. 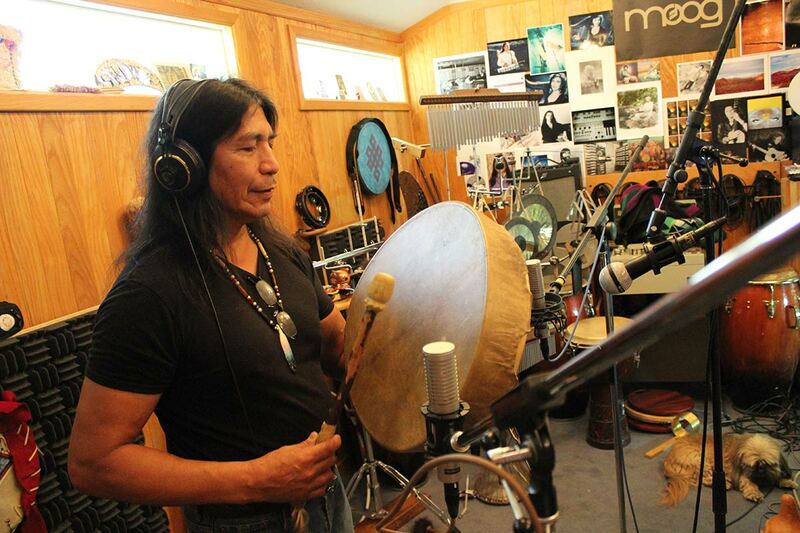 With his tribal roots strong in his heart, Dancing Bull is thankful to his family and friends for supporting and believing in him: "Music can connect us all. My family, my father and heritage are in my music. I enjoy sharing my music with others."